Ready for testing within a day of setting pump house. Pre-finished exterior avaliable in any color. Small footprint and limited on-site construction time. 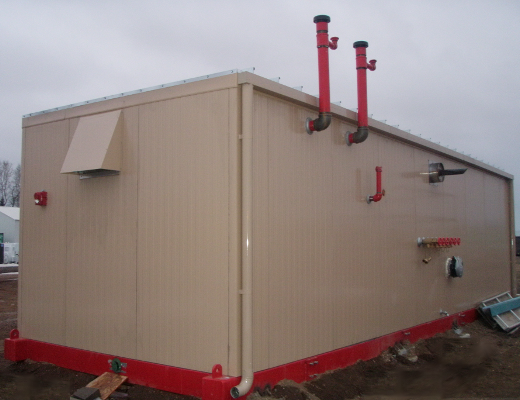 We specialize in pre-packaged pump enclosures with any type of fire protection systems required pre-piped inside. 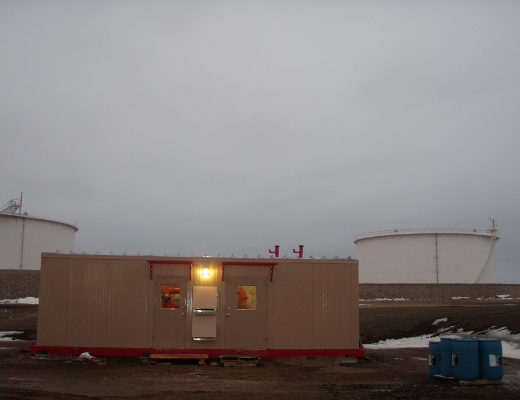 These enclosures/skids are ideal for remote locations where man-power and resources are limited. They are a "SET IT AND FORGET IT" solution. Let us be involved from conception to commissioning. You only need to provide power and utility connections. Don't have on-site water? We also are a distributor for buried fiberglass tanks and bolted/welded above-ground steel tanks. Let us help you determine what will work best on your site. 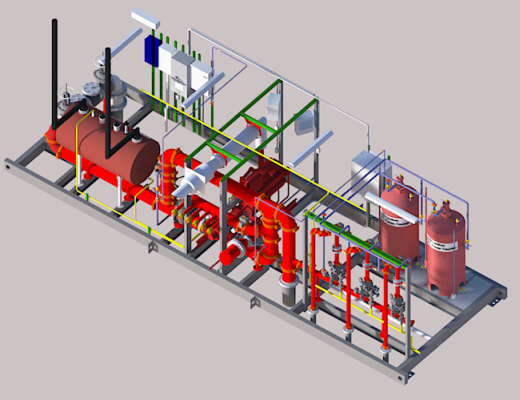 A lot of pump manufacturers can provide a generic pump on a skid, but only Pre-Engineered Fire Systems can provide you with a fully integrated suppression system. Need two foam bladder tanks and six deluge valves for six different zones? Not a problem. Whatever you can imagine, we can design and fabricate. Don't forget about the detection and releasing systems (i.e. Fire Alarm). With the fire alarm panel installed inside the enclosure, we pre-wire and pre-test everything. 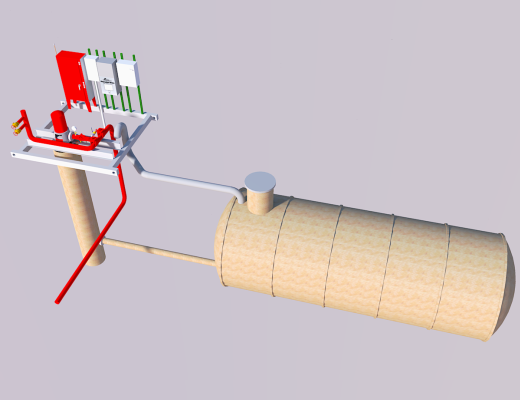 A typical application is linear heat detection on conveyors or oil storage tanks. All you need to provide is a phone line for outside monitoring as required. 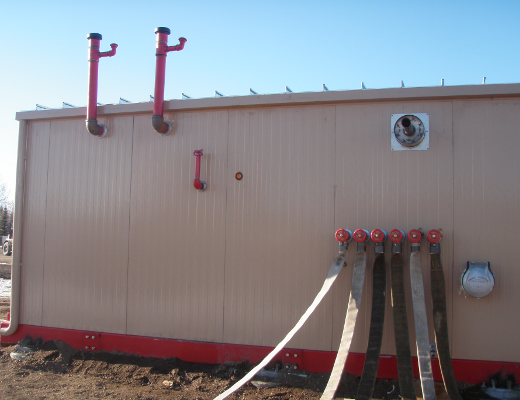 Our enclosures are built for the harshest environments. From the cold of Alaska, to the humidity of the South America. Each enclosure is built to the specific build code of the final destination including snow loads, wind loads, and live loads. They can be configured to any size you need. Have special equipment you want put inside the pump house? 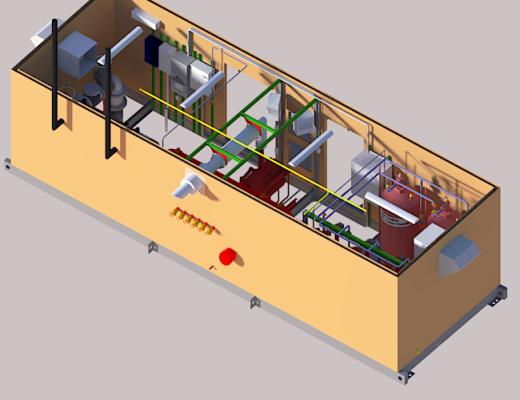 We can either enlarge the pump house or install the equipment for you. Our preferred construction type is 100% filled metal skinned panel system that provides the best insulation and rigidity. Eliminate the finger pointing and last minute scramble to get a project completed. 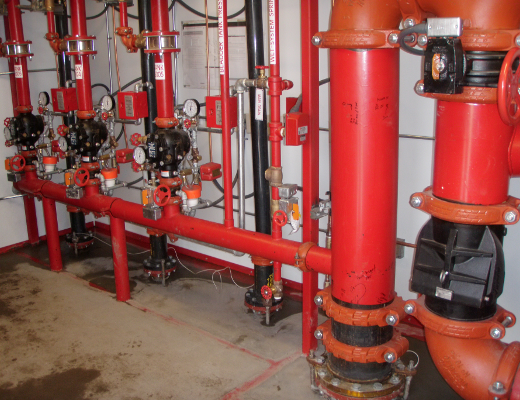 Pre-engineered Fire Systems takes the place of electricians, plumbers, tinners, welders, fire alarm contractors, carpenters, concrete guys, and a multitude of individual equipment suppliers. Should there ever be an issue, you only have one call to make. Building in our climate controlled shop with our specialized tools allows us to build more efficiently and allow us to pass along the cost savings to you. In addition, our tradesmen are specialized in the construction of these pump houses with an average experience of 15-years each. The combination of experience and tools often allows us to construct a pump house in a smaller footprint that what could be accomplished on site. This smaller footprint again results in cost savings that can be passed along to you. We completely test each pump house prior to shipping. 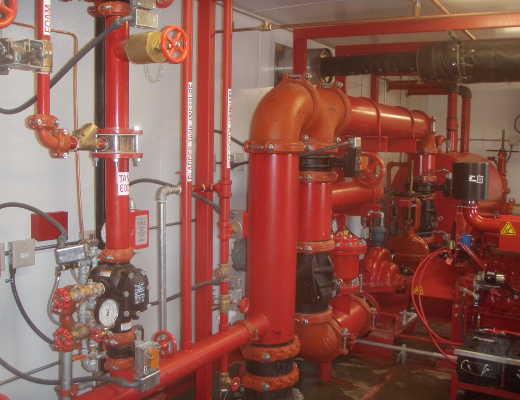 System power, lights, controls, fuel piping, fire alarm, and pumping capabilities are 100% checked for operation. This eliminates the possibility of issues being detected late in the construction schedule and causing significant construction delays. The tests can also be witnessed by the engineer, owner and/or contractor to assure proper system operation prior to shipment.